From holding online classes to professional meetings and webinars, Zoom provides reliable video, audio and chat functionality for your online communication needs. Check out how users across NC State are taking advantage of Zoom. 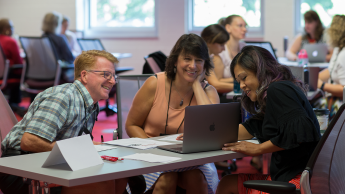 At this time in the semester, we know you’re busy teaching and advising, so we want to offer you a few ways to learn or refresh your teaching with technology skills that fit in your schedule. 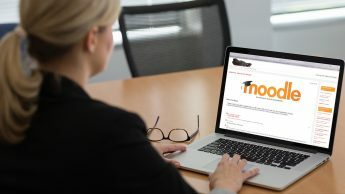 A self-paced Moodle course, online 30-minute workshops, and faculty-led webinar series are our new offerings. 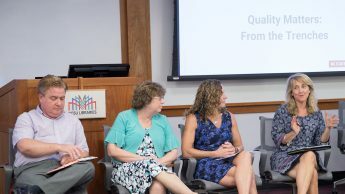 The Online Course Improvement Program (OCIP) has a new cohort of faculty who will work to make improvements to their online courses to meet the nationally recognized standards of the Quality Matters organization. 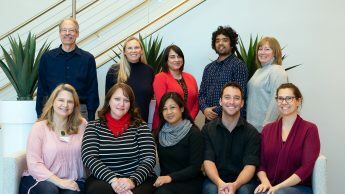 Meet the new group of dedicated faculty members committed to providing quality online teaching and learning. You could learn about urban trees from a textbook. Or, your class could get outside to Think and Do. 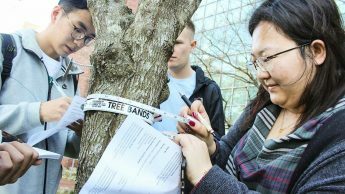 Through a Critical Path Course Redesign grant, DELTA staff members teamed up with Introduction to Environmental Science instructor Steph Jeffries to develop instructional and data collection materials for students to learn about campus trees. As you prepare for the start of the spring 2019 semester, are you thinking about how using technology in your teaching endeavors can help with student success? DELTA is here to help you leverage technology to support teaching in both face-to-face and online course environments. 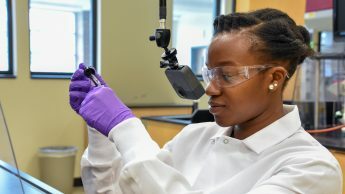 Through an exploratory grant, DELTA teamed up with Maria Gallardo-Williams to create five virtual reality organic chemistry lab experiences. 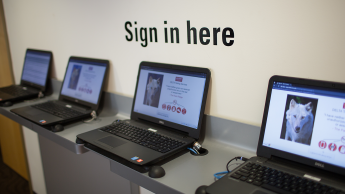 The student-focused and inclusive experience immerses users into the lab. 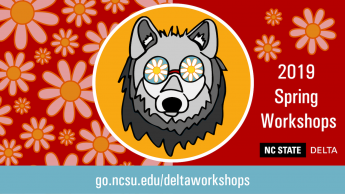 DELTA workshops can help you transform your course by effectively integrating the various academic technologies available to you. All workshops are open to faculty, staff and graduate students. Starting in March, we'll host a weekly webinar focused on exploring topics related to teaching with technology. WolfWare Outreach added a new calculating tool for prospective and current participants to estimate pricing and revenue. 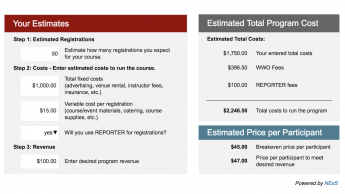 This tool can help instructors estimate the number of participants and the course fee needed to cover costs or generate the desired revenue. Seven faculty members recently became the first at NC State to have online courses certified by the nationally recognized Quality Matters organization. 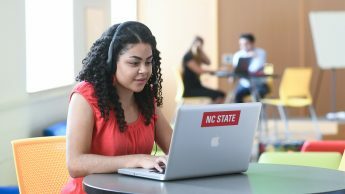 This prestigious achievement proves NC State’s commitment to quality online teaching and learning and the success of every student. Beginning spring 2019, all testing at the DELTA Test Centers will be by appointment only. Faculty who use DELTA Testing Services should update their syllabus statement to alert students of the change. 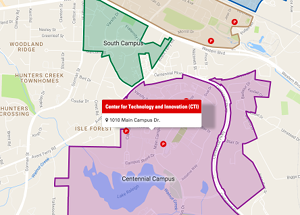 As a reminder, student study space is no longer available at the Centennial Campus Test Center.